“Kevin Red Star: Crow Indian Artist,” the book, has won the Multi-Cultural: Non-Fiction category of the 2015 USA Best Book Awards. The 192 page book is written by by Daniel Gibson with photography by Kitty Leaken. Gibson and Leaken showcase the talents of Red Star in this collection of artwork while also exploring his motivations. 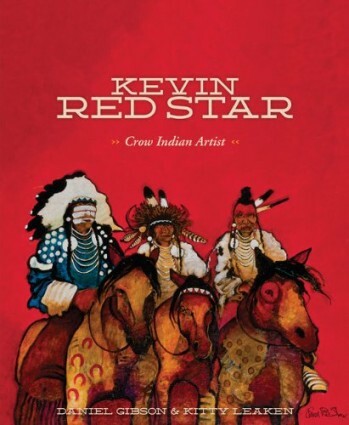 Red Star’s childhood on the reservation, his time at the Institute of American Indian Arts and San Francisco Art Institute, and his friends and family are all a part of his ever-evolving path of expression that makes his artwork so iconoclastic. 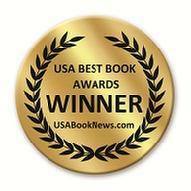 The book is available as a hardcover book or as a Kindle download at Amazon. Kitty Leaken, a seasoned photojournalist, creates documentaries that preserve art and culture of native peoples in Tibet and Sri Lanka. She graduated from Stanford University, has provided photography for several books, and lives in Santa Fe, New Mexico. A new hardcover book about Kevin Red Star is now available from publisher Gibbs Smith. The 192 page book is written by by Daniel Gibson with photography by Kitty Leaken. Gibson and Leaken showcase the talents of Red Star in this collection of artwork while also exploring his motivations. Red Star’s childhood on the reservation, his time at the Institute of American Indian Arts and San Francisco Art Institute, and his friends and family are all a part of his ever-evolving path of expression that makes his artwork so iconoclastic.